Hillary Clinton emails deemed “top secret” by the State Department. 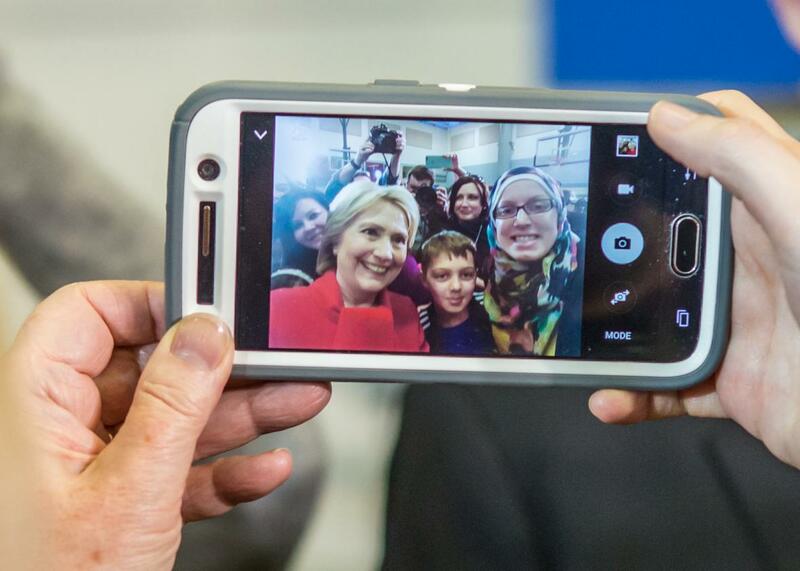 Hillary Clinton is seen in the screen of a cellphone as she takes a selfie with audience members after a campaign event at Buford Garner Elementary School on Jan. 24, 2016, in North Liberty, Iowa. Ruh-roh, Hillary. The State Department told the Associated Press on Friday that Hillary Clinton’s private email server contained “top secret” material—the first time the Obama administration has publicly stated that the Democratic front-runner had highly classified material on her off-the-books email setup. The 37 pages include messages recently described by a key intelligence official as concerning so-called “special access programs”—a highly restricted subset of classified material that could point to confidential sources or clandestine programs like drone strikes or government eavesdropping. We’ll have to wait for the State Department to finish its investigation to know just how big of a deal this is. But regardless, the news couldn’t come at a worse time for Clinton. The controversy over her private email had died down considerably in recent months, particularly on the left. At the first Democratic debate back in October, Bernie Sanders memorably declared that, “the American people are sick and tired of hearing about [Clinton’s] damn emails.” But with three days to go until the Iowa caucus, Democratic voters will now spend their weekend being reminded that the issue isn’t going away and would almost certainly continue to dog Hillary through November if she were to win her party’s nomination. This post and headline were updated when additional information became available.